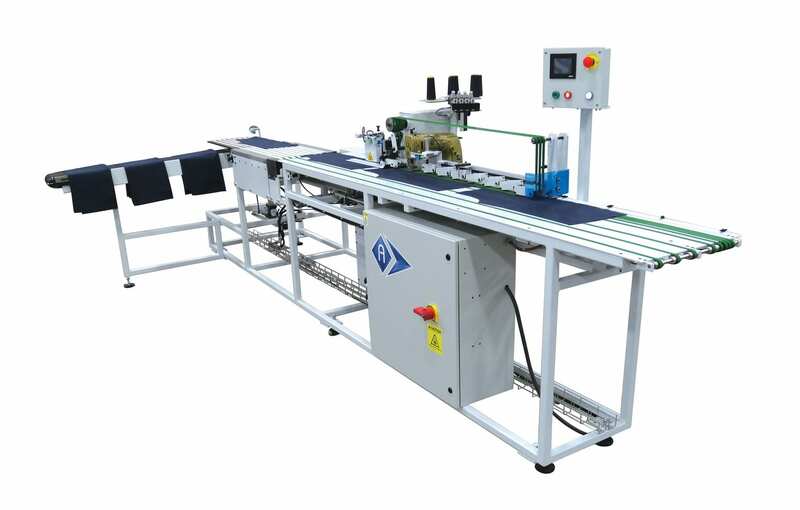 Automatic shirt front, pocket and sleeve hemming and sewing conveyor. 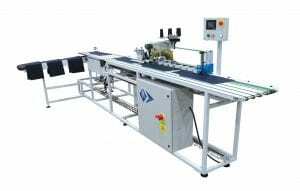 Automatic pocket hemming and sewing conveyor. Automatic unit for sewing front shirt placket or pocket, sleeve and front shirt hemming.